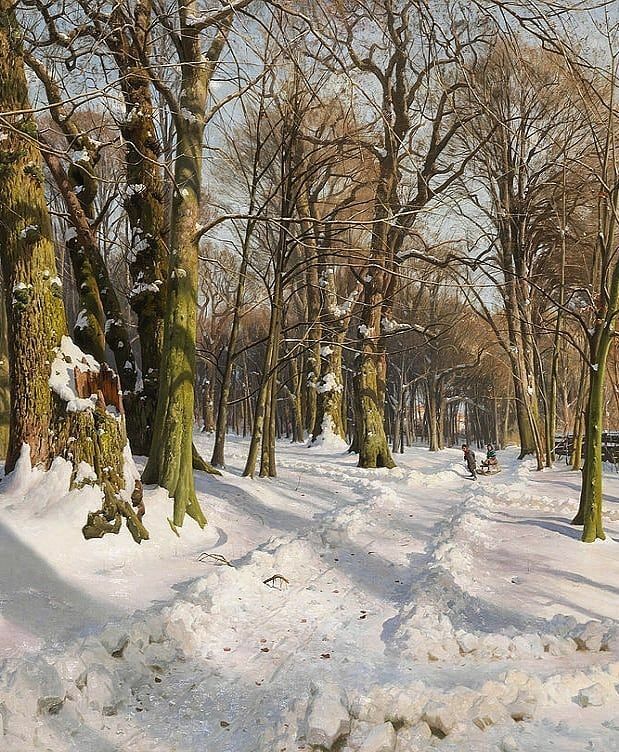 Peder Mørk Mønsted (1859–1941): Snowy Forest Road in Sunlight (detail), 1908, oil on canvas, 120 x 200 cm, Private collection in Luxemburg . . This is another winter scene by Monsted, depicting a woodland under heavy snow with two kids sledding in the background.